Ex-USN. Two of the three acquired in 1992 have been decommissioned. 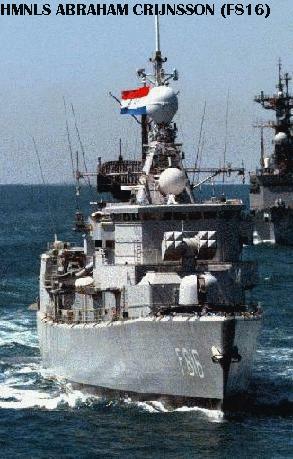 transferred after several years in Dutch service. built, with an extended hull and Mk41 VLS. All German-built. First four recently overhauled and upgraded. New LSTs built to replace old ex-US ships. later modified for ASW patrol. Armament: 8 Exocet MM40 SSM, Mk31 RAM, 76mm OTO, 2 30mm AA, 2 21"
9/2003-9/2004. Option for four more boats. Greek-built version of Group I.
French-built. Ordered by Cyprus, but delivered to Greece. Ex-German. Transferred 1976-77, exact dates unknown. Obsolete and overdue for replacement. Planned missiles have not been fitted. Ex-USN LSMs converted to minelayers. Two Hunt class sweeper-hunters acquired from the UK. US-built for transfer to Belgium, then transferred to Greece. An Italian Etna-class oiler has been ordered. Ex-German, originally a French-built freighter. Ex-RN, sold to a private owner in 1965, then to Greece. German-built to a US design for transfer to Germany. One taken over from another government agency. Can serve as a transport or hospital ship in wartime.